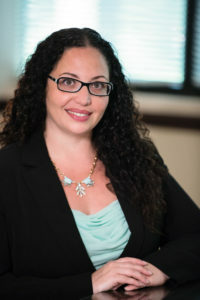 Diana Castrillon of The Injury Law Clinic to Speak at Broward County Bar Association 2010 Worker’s Compensation Seminar – Diana I. Castrillon, P.A. Diana Castrillon, Esq., Principal at The Injury Law Clinic will be a Speaker at the upcoming Broward County Bar Association Worker’s Compensation Seminar being held Friday, February 26, 2010 at the Riverside Hotel in Fort Lauderdale, FL. Diana will be presenting her “Fresh Perspectives” to fellow BCBA attorneys and Broward County judges about “The Ethics of Dealing with the Other “F” Word,” a hot topic for 2010 Worker’s Compensation cases in Florida. During this presentation, she will provide her insights as a South Florida Personal Injury Attorney on how to deal with Fraud as it relates to Workman’s Compensation. If you would like more information about the BCBA 2010 Worker’s Compensation Seminar, please visit http://www.browardbar.org/events.